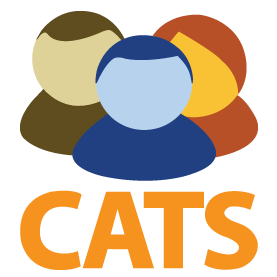 An applicant tracking system (ATS) manages the recruiting process by collecting and organizing applicant information. These systems are used in the recruiting and hiring of new talent. By using an ATS, recruiters reduce the time spent reading resumes and screening potential applicants. In addition, ATSs assist in posting positions to job boards and communicating with candidates. They store applicant information in a centralized system of record so that candidate information can be retained until relevant information becomes available. They are often implemented by HR departments in order to boost efficiency during the hiring process and simplify the qualification of candidates. ATSs can be implemented either as a standalone solution or as part of an integrated HR management suite. There are hundreds of software & cloud based apps for modern recruitment process, at WhoKnows we have handpicked 47 most popular, widely used & recognized vendors in the market. 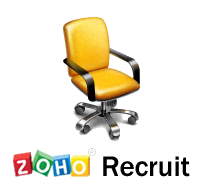 Zoho Recruit is an Online Recruitment and Staffing software system that simplifies your hiring process. A complete solution for true recruiting professionals. Streamline your hiring processes and acquire better talent with Zoho Recruit’s applicant tracking system and recruitment software. Source better talent, track resumes and interviews efficiently and never miss on a good hire. Jobvite is leading the industry with the most comprehensive and analytics-driven recruiting platform built for emerging and enterprise companies who are on a mission to hire top talent easily, efficiently, and effectively. With a rich history of innovation, we help customers stay one step ahead by accelerating the entire recruiting process–from sourcing to onboarding. We were recently named a leader in the Forrester Wave on Talent Acquisition and have thousands of customers including LinkedIn, Twitter, Schneider Electric, and Gamesys. Lever is the collaborative recruiting platform that powers true talent engagement. Intentionally designed with built-in CRM functionality and a clean, modern interface, Lever helps you cultivate stronger candidate relationships and make hiring human again. Greenhouse Software is a Recruiting Optimization Platform that helps companies source, interview, hire, and onboard the best talent. From sourcing candidates to custom interview kits, Greenhouse helps you find the best talent, conduct focused interviews, and gather relevant feedback quickly to make the right hiring decisions, faster. 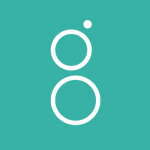 More than just an applicant tracking system, Greenhouse lets you integrate with your other tools and run your entire hiring process, end-to-end, from a single application. Current customers include companies like Airbnb, Pinterest, Riot Games and more. Recruitee is a collaborative recruitment tool that helps teams organize their entire hiring process – and to grow faster. From creating careers sites, posting jobs, sourcing and managing candidates, to applicant tracking and candidate relationship management – all is managed from one easy-to-use dashboard. 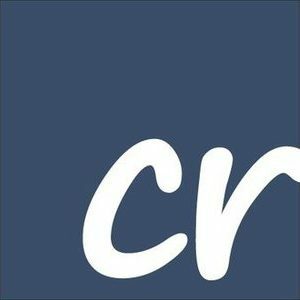 Recruitee helps companies eliminate the hassle of hiring and focus on what`s important- finding the right people for their team. Recruitee has become an industry standard for fast-growing SMEs and Recruitment Agencies all around the world. 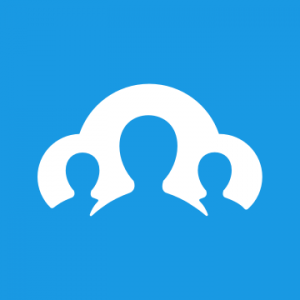 Breezy is the modern, collaborative and user-friendly applicant tracking system for all. Unlimited candidates and unlimited users mean top performers from recruiting and staffing agencies find Breezy just as simple and efficient as SMBs looking to organize their recruiting and hiring, or SMEs with 50+ hiring managers and outside recruiters to loop in. COMPAS was originally developed as a simple Applicant Tracking System by a San Francisco based recruiting team that just couldn’t find the recruiting and staffing right tools and technologies they needed in today’s market. Using their extensive industry experience and sticking to their core principles – simplicity and speed – COMPAS grew into a true SaaS solution offering comprehensive, effective functionality that streamlines and optimizes the recruiting and staffing process. BirdDogHR provides easy-to-use onboarding software solution developed to automate the paperwork associated with new hires and accelerate their time to proficiency. As a leader in delivering easy-to-use talent management software and services, BirdDogHR Onboarding is a proven cloud-based solution that saves time and money, mitigates documentation risk and increases employee engagement. BirdDogHR clients span all industries with an emphasis on construction, engineering and supply. Bullhorn offers CRM and operations software for the staffing industry. More than 7,000 staffing companies rely on Bullhorn’s cloud-based platform to drive sales, build relationships, and power their recruitment processes from end to end. 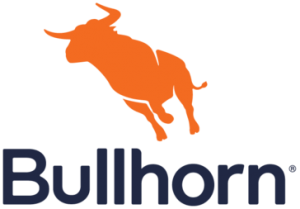 Headquartered in Boston, with offices around the world, Bullhorn employs more than 600 people globally. BambooHR is Software-as-a-Service (SaaS) company providing online HR Software for small and medium businesses that have outgrown spreadsheets. BambooHR’s cloud-based system is an intuitive, affordable way for growing companies to track and manage essential employee information in a personalized Human Resources Information System (HRIS). Now HR managers have more time for meaningful work, executives get accurate, timely reports and employees can self-service their time off, using a convenient mobile app. BambooHR’s clients include innovators like Fitbit, Fab, FreshBooks, Klout, and Squarespace, among hundreds of others in 70 countries worldwide. 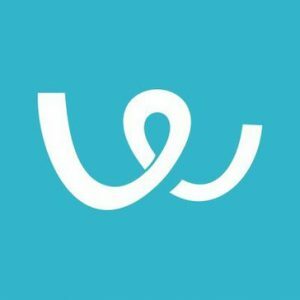 Workable is a popular recruiting software, trusted by over 6000 companies to streamline their hiring. From posting a job to sourcing talent, Workable provides tools to manage multiple hiring pipelines. Transparent communication, organized candidate profiles, structured interviews and a full reporting suite gives hiring teams the information they need to make the best choices. Workable is available for desktop and mobile. Kronos Workforce Ready® provides businesses a full suite of seamlessly integrated applications for recruiting, onboarding, time and attendance, scheduling, absence management, payroll, and more, that are easily accessed through an intuitive user interface. Our cloud-based solution is built for your budget and can grow with you as your business grows. And it’s all in one platform, with one employee record and one simple user interface. With Workforce Ready, you get enterprise-class power at a price you can afford. 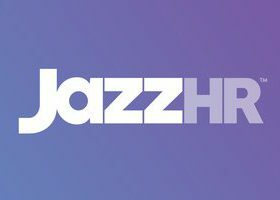 JazzHR is a powerful, user-friendly and affordable ATS and recruiting software that enables today’s greatest people to build tomorrow’s greatest companies. JazzHR replaces antiquated hiring processes like email and spreadsheets with an intuitive applicant tracking system that helps recruiters and hiring managers build a scalable and effective recruiting process that consistently results in great hires. JazzHR is also the creator of Crowd, the HR industry’s first integrated crowd-sourcing, big-data and predictive analytics initiative. Since 2009, JazzHR has helped thousands of companies fill more than 100,000 positions. 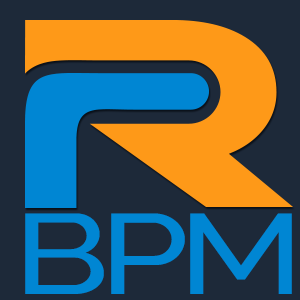 RecruitBPM is a Recruitment Process Management solution that provides the user with tools to make recruitment streamlined and efficient. Avature’s vision is to support strategic HR initiatives by introducing a consumer web quality platform that can be customized quickly and easily by their customers – allowing them to design and implement innovative programs to compete for and retain talented people. Their technology focuses on engagement and is designed to enable end-to-end service delivery to stakeholders and to contribute to the digital transformation of the enterprise. 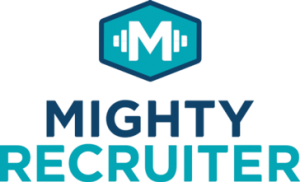 MightyRecruiter is a cutting edge, intuitive recruiting solution that helps you recruit better. Post to job boards, source passive candidates, manage applicants and hire the most relevant candidates to your jobs — at no cost to you. Managing people in today’s working environment requires agility, accuracy and visibility. All human capital management processes need to work together to keep organizations running efficiently, and every gap between systems increases the chances of information being out of sync and inaccurate. Dayforce HCM is a single, cloud solution that spans human capital management domains with one employee record and one user experience throughout the application. Built on a single database, Dayforce HCM enables organizations to find and hire the right people, process pay, manage benefits enrollment, maintain HR records, and schedule staff while monitoring compliance throughout the employee lifecycle. Paycom offers the only full HR solution contained in one database. So, the technology you use to hire new employees is the same tech you use to pay your workforce, comply with regulations, train your people and much more. It is all there – all of your workforce data – in one system, and that is important. We help businesses streamline their employment processes from recruiting to retirement and everything in between. Our Talent Acquisition, Time and Labor Management, Payroll, Talent Management and HR Management systems operate from a single database, eliminating redundant data entry and the integration of multiple systems. 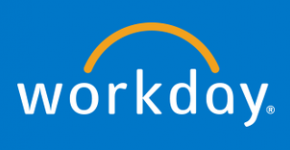 Workday’s enterprise Software-as-a-Service (SaaS) products are cost-effective alternative to ERP software systems for human resource management. Watch our product previews and learn how Workday on-demand business intelligence applications can help organize, evaluate and maximize your profits today! SuccessFactors helps organizations align strategy with objectives & manage people performance to ensure execution & results. Execution is the difference. SilkRoad, the world’s leader in Talent Activation, goes beyond traditional talent management technology to deliver personalized experiences that activate people throughout their employment journeys—from candidates through new hires to productive workers and the transitions that follow. SilkRoad Talent Activation helps our customers win the war on retention by engaging people with continuous onboarding, which keeps them connected to business goals so they stay on board longer. SilkRoad has helped thousands of companies around the world make the ground-breaking leap from Talent Management to Talent Activation. Proven customer success makes SilkRoad the right choice for companies with the most demanding talent requirements. Hiring the right people is critical for the success of any organization. However, as the world of work has changed, traditional applicant tracking systems are not optimized to help companies source and hire the best candidates. Saba Recruiting sets a new standard by creating a social, predictive and collaborative hiring process that not only identifies the best candidates, but also accelerates the new hire time-to-productivity. At Sentric, we know sometimes HR people need HR, too. While you support your company, we’ll support you with software that helps expand your coverage for compliance, benefits administration, data consolidation, talent management, payroll and attendance. We’ll strengthen how your company interacts with your people by giving you the functionality and expertise you need to do it all. And we do it best for companies with less than 1000 employees. We’ll save you time, printing costs, storage space, and best of all: your sanity. Find a package that meets your needs, or use our API to integrate your favorite applications. Or both. Cornerstone OnDemand is a leader in cloud-based applications for talent management. The company’s solutions help organizations recruit, train, manage and engage their employees, empowering their people and increasing workforce productivity. Jobscience is provider of Staffing and Recruiting software as a service (SaaS) on the Salesforce platform, with more customers, awards, deployments, users and development investment. We invented recruitment on the Force.com platform so recruiters could save time and be more successful. PeopleFluent provides a cloud-based talent management suite that includes Recruiting, Performance Management, Compensation, Learning, Succession and Vendor Management as well as Workforce Planning and Diversity. PeopleFluent is designed to address critical, talent-related challenges such as performance issues, high turnover, talent retention, and employee engagement. Lumesse is the only global company making talent management solutions work locally. We create and support products that unlock human potential across cultural, geographical and organisational boundaries. We deliver a choice of intuitive, integrated talent management solutions that people love to use, creating fantastic outcomes and inspiring careers across the globe. Complete talent management tool which assists organization to manage job posting, applicant profiles, managing interviews & reviewing feedback, hiring suitable applicants, initiating on-boarding with comprehensive notifications & reporting features. Key features include: Job Requisition, Job Posting, Applicant Sourcing Screening & Selection, eBoarding, Socialmedia Integration Analytics, Mobile device functionality. All-in-One software for applicant tracking and recruitment automation. 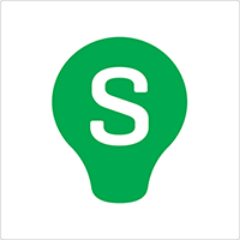 SmartSearch talent acquisition and staffing management software, has been creating applicant tracking systems to streamline sourcing, recruiting and hiring in one easy-to-use solution. We lead the way in the development and deployment of quality talent management and recruiting solutions to help our clients recruit at the speed of life and stay ahead of the curve in the ever-changing recruitment landscape. 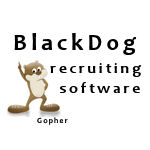 Gopher is the leading recruitment tool of choice for 3rd party recruiting firms and pro-active direct hire recruiters. Gopher’s one page design dramatically increases productivity allowing instant access to vetted candidates and clients. With Gopher you will be 1 person contacting 1000’s rather than 1000’s contacting 1 person. Spend more time engaging. 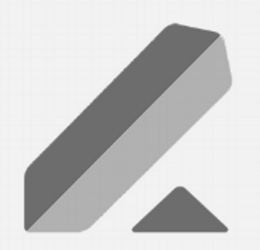 Free complete working version of Gopher is available for trial. HireCentric ATS makes it easy for qualified applicants to apply to your organization. Our mobile-responsive, web-based portal is customized for your company. It provides applicants with a user-friendly experience on any device and enhances your employer brand. HireCentric includes job posting tools, job-specific screening, applicant management, email communication and compliance reports–which minimize the time and effort associated with the workflow of today’s HR professionals. 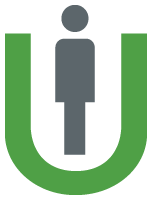 Vultus Recruit, a cloud based recruitment solution that allows you to discover talent, connect with human resources and find your most appropriate Recruit. Fulfil different people needs within your organization across seamlessly inter-connected processes and systems. 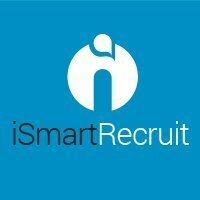 Substitute your complex set of recruitment systems with an easy, quick and smart recruitment software. One platform to manage your human resources and customers. TargetRecruit is a globally recognized, end-to-end staffing, recruiting and workforce solution provider that is completely mobile and fully integrated to partner with staffing and recruitment firms on nearly every continent. 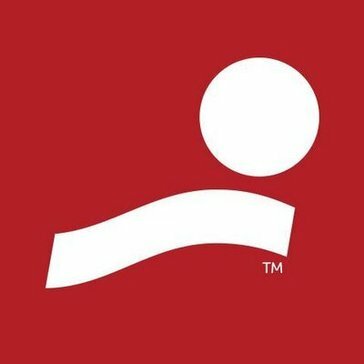 Built on the Force.com platform, TargetRecruit is the most highly recommended recruiting application on Salesforces marketplace, AppExchange. Conrep’s PSA software provides end-to-end solution for consulting, staffing, recruiting and professional services organizations. Conrep improves all aspects of your business: workflow, tracking and controlling. It’s easy-to-implement, web managed solution increases organizational efficiency, maximizes resource utilization, facilitates team collaboration, fosters individual responsibility and productivity. ApplicantStack, is a web-based applicant tracking and onboarding solution specifically designed to suit the needs of small and mid-sized organizations. Applicant Stack offers tools to help companies generate online employment applications, create and post new open positions, share positions on social media, and build screening questionnaires to accompany online applications. As a part of the onboarding module, users can manage new hire paperwork, communications, tasks, and employee information in a single place. CareerPlug provides recruiting and HR software solution that includes applicant tracking and paperless onboarding. With the tools to attract and evaluate candidates, hiring managers are able to make their process more consistent to ultimately make better hiring decisions. 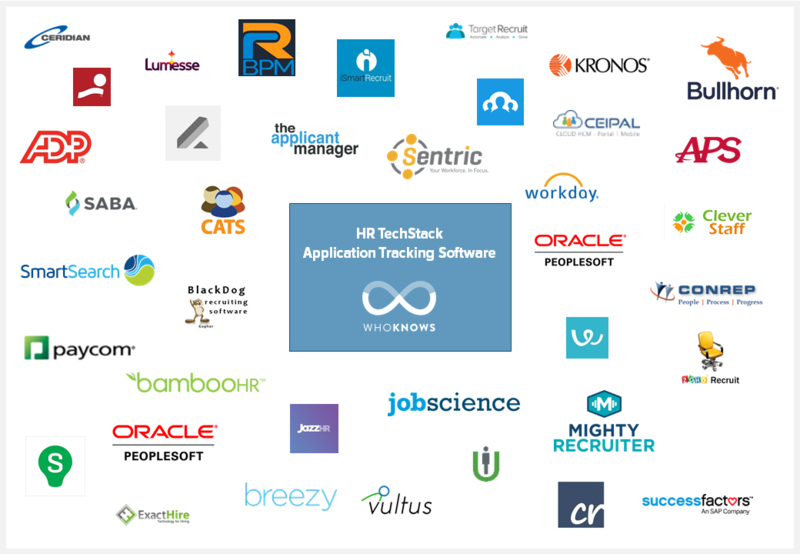 So there it is…the comprehensive list of some of the most popular HR Application Tracking Software Vendors in the market today. How many of you are already using one of these platforms for your business? What was your experience with it? Or do you have any tool or platform that we missed & you want us to include here?